The second-largest state in the lower 48, Texas straddles both the American Southwest and Southern regions of the United States. Known globally as a tour de force in producing both enormous outputs of cattle and oil, Texas also leads the country in production petrochemicals, aerospace and biomedical sciences. With 57 Fortune 500 Companies with headquarters in the state, Texas is only rivaled in those such figures with California. 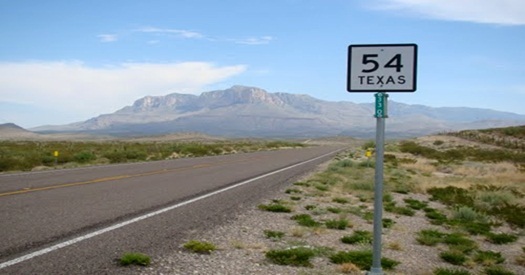 Texas has the most miles of roadways out of any state in America at over 675,000 miles. From the Dallas/Forth Worth hub, truckers can reach 93% of the nation in 48 hours or less. Texas also presents shippers with 33 foreign trade zones. U.S. Xpress: Lease to Own Truck Driver - Runs out of Wisconsin! The largest state in the US has plenty of room for anyone, but Texas will roll out the red carpet for truck drivers who want a job there. The Texas economy is as strong as ever and the only thing holding it back is the fact that there aren't enough tuck-drivers to keep it in gear. Located in the south central part of the country and bordered by Oklahoma, Arkansas, Louisiana, New Mexico, The Gulf of Mexico and Mexico across the Rio Grande, Texas is a prime location for transporting goods both nationally and internationally. Mostly known as the nation's leading oil producer, Texas has such a huge landscape of so many diverse regions its economy thrives from many other industries as well. It's mineral resources include salt, sulfur, clays and cement, while its major manufacturing industry produces a wide variety of products such as chemicals, food products, transportation equipment, machinery and metals. Texas has also become a leading manufacturer of computers as well, with Dallas-Fort Worth and the surrounding area now known as the “Silicon Prairie”. Texas also has one of the most important agriculture industries with the most farmland in the country and the leading state in cattle, cotton, sheep, dairy and greenhouse products. Texas pretty much has everything to provide a rich economy strong enough to weather any storm. Everything but truck drivers, that is. In 2011, the trucking industry in Texas provided 511,930 jobs, or one out of 16 in the state. The US Bureau of Labor Statistics reported the Texas trucking industry's average annual salary to be $43,911. Well above the national average and certainly enough to live pretty well in Texas, but apparently not enough attract the number of truck drivers needed. One San Antonio truck driving schools has seen enrollment double over the past 12 months mainly because of higher pay for truck drivers serving companies operating in the Eagle Ford. Noel Smith, Program Director at St. Phillips Driver Training School states that a truck driver obtaining a Class A commercial driver's license can earn $50,000 to $70,000 the first year in the Eagle Ford area. Companies not serving the oil industry have had to raise their pay just to keep up with the driver shortage and nearly everyone comes out of these 6 week driver training programs with a job offer. Texas is booming with truck driving opportunities all over the state and TruckDrivingJobs.com is here to help you find the best ones specifically for you. All you need to do is go on-line and we give you access to the most current truck driver jobs in every part of the Texas. Once you determine which are best suited for you, TruckDrivingJobs.com helps you take the next most important step with our on-line application process, instantly linking you to your potential employer. Texas is calling, they've got plenty of jobs waiting and time's a wastin'. Don't make your truck driving career wait. Below are list of companies currently hiring within texas. Call 940-538-6751Based out of Henrietta, L & D Reed Trucking owns 979 trucks and transports all kinds of freight. Call 915-529-3759Based out of Abilene, C & G Trucking owns 378 trucks and primarily transports Fresh Produce, Livestock, Grain, Feed, Hay. Call 325-646-7680Based out of Early, C & C Feeds owns 203 trucks and primarily transports Oilfield Equipment, Livestock, Grain, Feed, Hay, Farm Supplies. Call 409-938-4274Based out of Lamarque, A & A Machine owns 731 trucks and primarily transports various metals such as Brass, Titanium, Copper, Iron, Machinery, Oversized loads such as Farm Mining or Oilfield equipment, processed metals. Call 940-465-2251Based out of Llakedallas, D & H Roadways owns 189 trucks and primarily transports regular Flatbed & Reefer loads, Fresh Produce. Call 214-683-4288Based out of Bells, M Trucking owns 491 trucks and primarily transports regular Flatbed & Reefer loads, Fresh Produce, Refrigerated Food. Call 940-937-3068Based out of Childress, M & L Texas Roadrunner owns 448 trucks and primarily transports Sand/Dirt & Gravel. Call 903-537-7144Based out of Mt Vernon, I C Properties owns 387 trucks and primarily transports various metals such as Brass, Titanium, Copper, Iron, Logs, Poles, Beams, Lumber, Construction equipment. Call 940-668-7122Based out of Gainesville, J & D Transport owns 99 trucks and primarily transports Car hauling. Call 432-523-5290Based out of Andrews, D & J D Services Ltd owns 947 trucks and primarily transports Machinery, Oversized loads such as Farm Mining or Oilfield equipment, Petroleum Gas & Natural Gas, Oilfield Equipment. Call 817-477-5256Based out of Venus, G & B Transport Ltd owns 570 trucks and primarily transports Car hauling, Toxic Materials. Call 979-335-4273Based out of East Bernard, Vacek Butane Co owns 294 trucks and primarily transports Petroleum Gas & Natural Gas, Toxic Materials. Call 940-327-0682Based out of Mineral Wells, Valair owns 867 trucks and primarily transports automobile engine equipment. Call 361-592-3541Based out of Kingsville, A & A Moving Systems owns 943 trucks and primarily transports Household Goods. Call 432-345-2400Based out of Sanderson, N M Mitchell Jr owns 332 trucks and primarily transports Machinery, Oversized loads such as Farm Mining or Oilfield equipment, Livestock, Grain, Feed, Hay, Farm Supplies. Call 512-259-3030Based out of Cedar Park, H & R Heavy Haulers owns 922 trucks and primarily transports various metals such as Brass, Titanium, Copper, Iron, Machinery, Oversized loads such as Farm Mining or Oilfield equipment, Farm Supplies, Construction equipment. Call 903-459-3734Based out of Cumby, S & F Trucking owns 299 trucks and primarily transports Construction equipment, Equipment. Call 512-253-0020Based out of Paige, J & J Cable Contracting owns 860 trucks and primarily transports various metals such as Brass, Titanium, Copper, Iron, Machinery, Oversized loads such as Farm Mining or Oilfield equipment. Call 979-826-3611Based out of Hempstead, L & L Transportation owns 991 trucks and primarily transports regular Flatbed & Reefer loads, various metals such as Brass, Titanium, Copper, Iron, Building Materials, Intermodal Containers, Oilfield Equipment, Paper Products, Farm Supplies. Call 915-786-2096Based out of Norton, White owns 205 trucks and primarily transports Livestock, Grain, Feed, Hay, Farm Supplies. Call 806-244-0070Based out of Dalhart, Ubaldo Ortiz owns 476 trucks and transports all kinds of freight. Call 956-843-7007Based out of Hidalgo, Quality Directional Drilling owns 576 trucks and primarily transports. Call 806-624-3431Based out of Darrouzett, O & B Tank Co owns 710 trucks and primarily transports Ocean Liquids. Call 254-848-4461Based out of Mcgregor, H & B Contractors Ltd owns 423 trucks and primarily transports Construction equipment, Toxic Materials. Call 806-773-5491Based out of Clifton, M & K Express owns 826 trucks and primarily transports regular Flatbed & Reefer loads, Fresh Produce, Grain, Feed, Hay, Meat, Dry Van, Refrigerated Food, Beverages, Paper Products. Call 409-262-8425Based out of Hull, B's Trucking owns 602 trucks and transports all kinds of freight. Call 254-292-0992Based out of Valley Mills, B Transportation owns 269 trucks and primarily transports regular Flatbed & Reefer loads, Fresh Produce, Grain, Feed, Hay. Call 806-894-9339Based out of Levelland, D & I Express owns 579 trucks and primarily transports Livestock. Call 936-591-9510Based out of Shelbyville, Nacogdoches Horizontal Directional Drilling owns 165 trucks and primarily transports Logs, Poles, Beams, Lumber, forestry equipment & supplies.across state lines. Call 409-252-3218Based out of Anahuac, Oak Island Seafood owns 724 trucks and primarily transports Refrigerated Food. Call 512-272-4524Based out of Manor, R & L Transfer And Storage Co owns 259 trucks and primarily transports regular Flatbed & Reefer loads, Household Goods, Machinery, Oversized loads such as Farm Mining or Oilfield equipment. Call 832-428-3223Based out of Dickinson, V - Rod Transfer owns 650 trucks and primarily transports Car hauling. Call 903-897-0659Based out of Naples, E Allan Dennis owns 754 trucks and primarily transports Paper Products, commercial concession supplies. Call 409-542-9271Based out of Giddings, H & R Machine owns 211 trucks and transports all kinds of freight. Call 806-272-5041Based out of Muleshoe, L & L Pallet Supply owns 247 trucks and primarily transports regular Flatbed & Reefer loads, Logs, Poles, Beams, Lumber. Call 806-647-1495Based out of Dimmitt, Kids owns 151 trucks and primarily transports regular Flatbed & Reefer loads, Grain, Feed, Hay, potassium salts, farming equipment, Dry/various liquids Fertilization supplies. Call 512-869-8580Based out of Georgetown, G & H Trucking owns 802 trucks and primarily transports regular Flatbed & Reefer loads, Toxic Materials. Call 936-435-0414Based out of Huntsville, C & C Delivery Service owns 209 trucks and primarily transports regular Flatbed & Reefer loads, Oilfield Equipment. Call 832-661-1849Based out of Alief, Ubert J Ortiz owns 996 trucks and primarily transports regular Flatbed & Reefer loads, Dirt. Call 830-393-0083Based out of Floresville, F & W Electrical Contractors owns 640 trucks and primarily transports Logs, Poles, Beams, Lumber, Machinery, Oversized loads such as Farm Mining or Oilfield equipment, Construction equipment, TreesS. Call 806-435-4846Based out of Perryton, F O Enterprises owns 175 trucks and primarily transports trailers. Call 903-389-8017Based out of Fairfield, R & D Transportation owns 161 trucks and primarily transports regular Flatbed & Reefer loads, various metals such as Brass, Titanium, Copper, Iron, Car hauling, Construction equipment. Call 806-226-3006Based out of Claude, Livestock L L C owns 913 trucks and primarily transports Livestock. Call 915-597-6018Based out of Brady, V E Jack Lowery & Myra Lowery owns 408 trucks and primarily transports regular Flatbed & Reefer loads, various metals such as Brass, Titanium, Copper, Iron, Car hauling, Logs, Poles, Beams, Lumber, Building Materials, Machinery, Oversized loads such as Farm Mining or Oilfield equipment, Oilfield Equipment, Livestock, Grain, Feed, Hay, Dry Van, Paper Products, Farm Supplies, Construction equipment, Water - Well.